Hyundais, Hybrids - and Bentleys! Variety in new-tech cars gives buyers choice. For anyone doubtful about whether they want to drive a hybrid vehicle, here's one you'd have to be crazy to turn down. 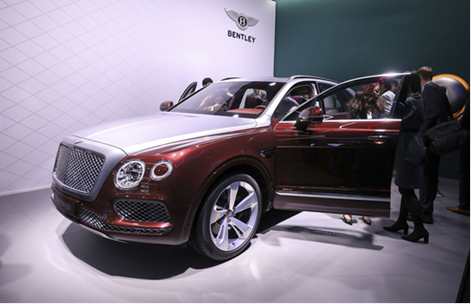 This Bentley SUV, named Bentayga in a blatant burst of machismo, was shown at the Geneva International Motor Show. The Bentley hybrid, you will be happy to know, is working hard to meet federal emissions regulations and keep up with the times. That is a tall order for a company like Bentley, whose customers probably can’t quote gas prices to the nearest pound except as trade commodities. That elegant deep red and silver combination murmurs ‘Bentley’ and ‘British’ in high definition stereo. An SUV for the well-heeled denizens of Fleet Street and environs, the vehicle has the regal aspect that one would expect from such a storied badge - that's a nameplate in Brit-speak. The ad photo of the SUV plugged in makes a statement of a vastly different sort. 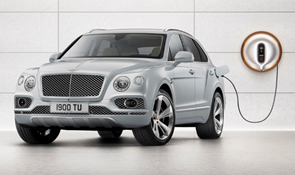 Bentley CEO, Adrian Hallmark (what a great name) says “… it’s our first step on the road to electrification.” which sounds like a shout that the Bentley fleet will be converting to electrified vehicles soon. Contrasting the two approaches, gas versus hybrid, shows that the standard V8 version costs $230,000. The hybrid is expected to be $250,000, with a V-6 combustion engine plus electric motors, and will run about 31 miles on the battery in all-electric mode. Bentley expects to market a charging device which will bring the batteries up to full charge in 2.5 hours – a long time to spend, impatiently tapping one’s foot, while electrons flow. But then, it does give your chauffeur something useful to do while you're in having tea with the Queen. Or, it would if you could buy one - but you can't, as the hybrid Bentayga is not available for sale even to those who can pay in cash. Nor do we know when it will be, so you've got some time to save up for one. The fact that Bentley is not even committing to a timetable fits right in with this writer’s take on the mad rush of car manufacturers to market electrics. In other articles, we have expressed reluctance to expect radical change in the automobile market. On the other hand, China has announced a program to convert all its vehicles to electric soon. California is attempting to make a commitment (the law may pass in this legislative session) to outlaw gasoline engines – along with the European Union – in 2040. Just another strike against the state that was once a veritable paradise, until sometime in the 80s, once Ronald Reagan was on the national scene and unable to serve as a steadying influence within California. Once the rabble ruined San Francisco and LA where the homeless rule, once the Democrat party had its way for enough years, the state became a place where insanity rules. This will become apparent in 20 years when the ill-conceived upcoming law becomes close to its deadline, and the state will have to run to Washington to get bailed out. A little patience – abundantly lacking within California Democrats – would have saved a lot of face. The market is completely capable of making those decisions. The right decision for electric cars will be determined at some future time, by millions of consumers using their own good judgment to buy what's best for them. The Chinese government and the state of California will have little to say about the utility of all-electric cars, and no government bureaucrat can force a technology to be ready before its time. The success of the Toyota Prius has shown the viability of alternative powertrains in the market. This writer’s best friend, who has since moved to Seattle, had a 10-year-old model of that car which was surprisingly fit for the marketplace. It was slightly uncomfortable for our dimensions, but short trips were fine, and for more normally sized people there was plenty of room. Not so hard! It has two motors. One gas and the other electric. The gas motor starts up like all others, turns a generator and charges the battery. When the battery is near full, the gas motor shuts down and the electric motor takes over. That’s how it works in town driving, but on the highway, more energy is needed, so both motors run and that’s why Hybrids get better MPG in town than they do on the highway. So, Hybrids make better in town cars than road cars, just like electrics do. That friend drives a Mercedes E350 Diesel, a car that few will ever see in the US because of the Volkswagen diesel lawsuit and subsequent bad press against diesels of all sorts. Merriam-Webster gives the word “crossbred” as a synonym for hybrid in its thesaurus, and that is the generic definition that was appropriated for the engine technology. The series and parallel types (the two are sometimes combined in various ways) of hybrid vehicle use a petroleum fueled engine plus an electric motor which trade-off supplying power to drive the car in two- or four-wheel-drive configuration. So, a hybrid vehicle is a crossbred one of gasoline engine and electric motor. This selection of two power plants gives designers the choices of each to combine for the best effect. Toyota engineers started the process commercially with the machinery for the Prius back in the 1990s, and development continues through the present using designs with many different strong and weak points peculiar to each concept. As technology progresses, electric vehicles will eventually overcome the problems that we are having now with them – battery capacity and charging times – but those are still huge problems which probably will not be entirely solved soon. The other problem is that acceptance and conversion to all-electric vehicles will take decades. This is a problem on both the social side and in the infrastructure. It will simply take a lot of time to happen. Hybrids short-circuit all this, and are usable en masse now by not requiring charging stations or enormous batteries which charge quickly. Their only drawback is the fact that theystill require gasoline, which is a negative in the minds of a few petroleum nihilists. But hybrids get terrific mileage - we’re not sure how a plug-in hybrid differs from others to do this, but the Honda Clarity offers gas mileage over 100 miles per gallon. U.S. News & World Report, December 29, 2017 listed a good crop of hybrids that would be arriving in 2018, complete with a photograph of each of them. 2018 Hyundai Ioniq Plug-In Hybrid – $24,950. 2018 Honda Clarity Plug-In Hybrid – $33,400. BMW i3s REX – $51,500. Prices of many of those cars are real bargains especially after rebates, but they are all new models, and the track record of the brands is a very large variable. The Hyundai Ioniq, for instance, is priced very closely to the Hyundai that my wife drives a round trip of 88 miles every working day, and, according to the Motor Trend article, 55/54 MPG is the EPA rating. That is 15 to 20 miles per gallon or 40 to 55% better than my wife currently gets. The price is about the same as her Sonata, but we don’t know whether the quality of the automobile is equivalent. The Sonata is clearly superior to all the other Hyundais we have driven, all cheaper models. Hyundai makes a couple of vehicles that are priced above the Sonata, and they are well reviewed. We have been very happy with our Sonata – it’s our second – and if the Ioniq is like the Sonata, enhanced by the mass of the battery, it should be a pretty nice car. If we were in the market, it would be on our shortlist. The one wild-card model in the list is the Jeep. A hybrid Jeep is a quandary, almost a contradiction in terms. Jeeps are not supposed to be hyper fuel-efficient transportation; they are supposed to be outfitted for the wilds of Baja and the swamps of South Florida. Jeeps are the go-anywhere vehicle of the sportsmen who couldn’t care less about fuel economy. Perhaps Chrysler Corporation (Fiat, Italian-style) is going to try to make the Jeep into a tame-branded commuter vehicle like many of its other brands, but the photos don’t look like it. There is more than enough machismo to go around on this one. Historic Jeeps have been very heavy vehicles for their size, lending to the ability to develop traction in the worst of the unpaved paths the vehicle was originally designed for. There have been many compromises in that set of criteria, we are sure, to lighten the vehicle drastically and comply with fuel consumption standards. Demands of a hybrid design call for even more of that kind of change, and we would be very surprised if the Jeep is a heavy vehicle at all, even with the weight of the probably huge battery. 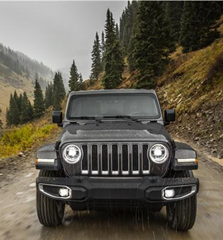 The 2018 Jeep Wrangler is a plug-in hybrid, and the brief description of its engine sounds impressive: A 2.0 L four-cylinder engine with a 48 volt mild-hybrid (US News term) system will be augmented with a plug-in hybrid system for 2020. As interesting as these are, do they constitute truly giant strides forward? The progress has been clear and substantive, but the strides ahead seem more of the stutter-step variety than of the surge that marks huge leaps of innovation. 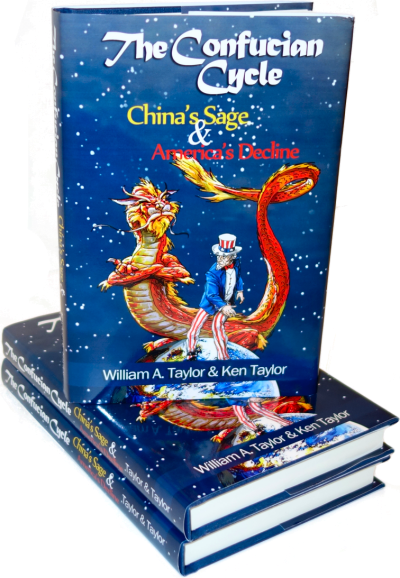 Perhaps the type of progress made by the hybrid class is what we can expect to see more of as the technologies being developed now – dreamed of for decades – become mature and engender more refinement than they do breakthroughs.